Continental Funeral Home: a proud family business, established to serve our wider community. Continental Funeral Home is dedicated to providing services with integrity, respect, professionalism, care, and the compassion that defines us. At Continental Funeral Home we know that every life is unique, and we offer a full spectrum of funeral services and products to honor the memory of your loved one. At Continental Funeral Home we appreciate your trust. With more than 25 years of experience in the funeral industry, Magda Maldonado founded, built, and directs Continental Funeral Home. Her vision to provide a memorable funeral service to each and every family who has trusted her with the care of a loved one during mourning is her motivation to serve, guide, and take care of every funeral service to the finest detail. 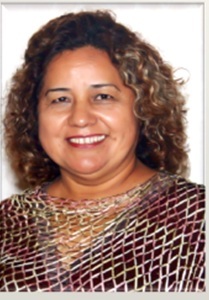 In addition, Magda is a Mexican business owner well-known within the United States immigrant community. A vast number of non-profit organizations have benefited from her compassion and dedication to serving her community. Magda has worked with organizations representing communities with origins in Mexico, Guatemala, El Salvador, and other countries. She has also collaborated alongside government agencies, both local and international. Due to her dedication to the well-being of her neighbors, she has earned various rewards from organizations committed to direct and responsible community betterment.